Okay listen up. The other day I got a call from my friends at FRYE inviting me to a little soirée in Nashville they call #FRYEdays. It’s FRYE so I was obviously so in. The seriously difficult part was picking just one to wear, so I rounded up a few of my favorites to share with you. 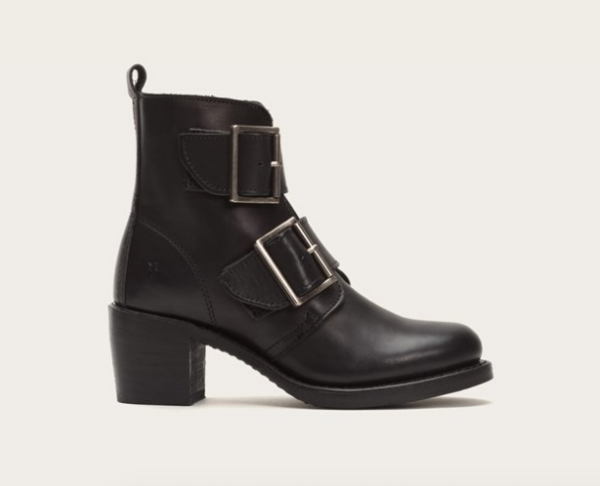 Ultimately the ones I went with for the party was the Sabrina Double Buckle booties.I like the 90’s vibe I got from the large buckles and thick sole, but the not-so-clunky fit around the ankle makes them modern and wearable. Worn with a floral jumper dress of mine that had shorts and long sleeves, and a Goorin Brothers hat, I was ready to listen to some music by Bulleit Whiskey in-store while trying to resist a second pair.